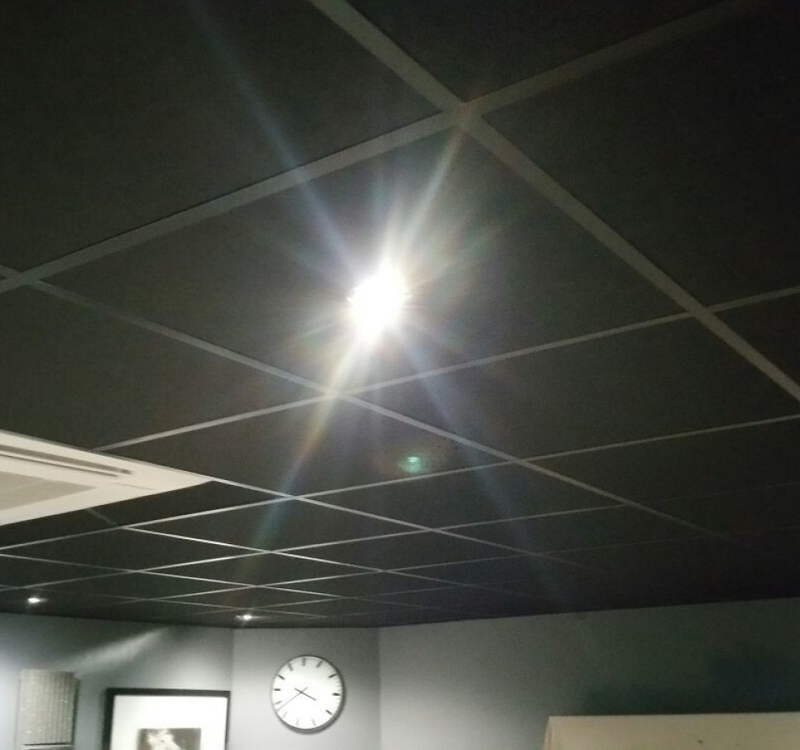 Our fitters recently finished a job for a TV Production company in Manchester city centre. 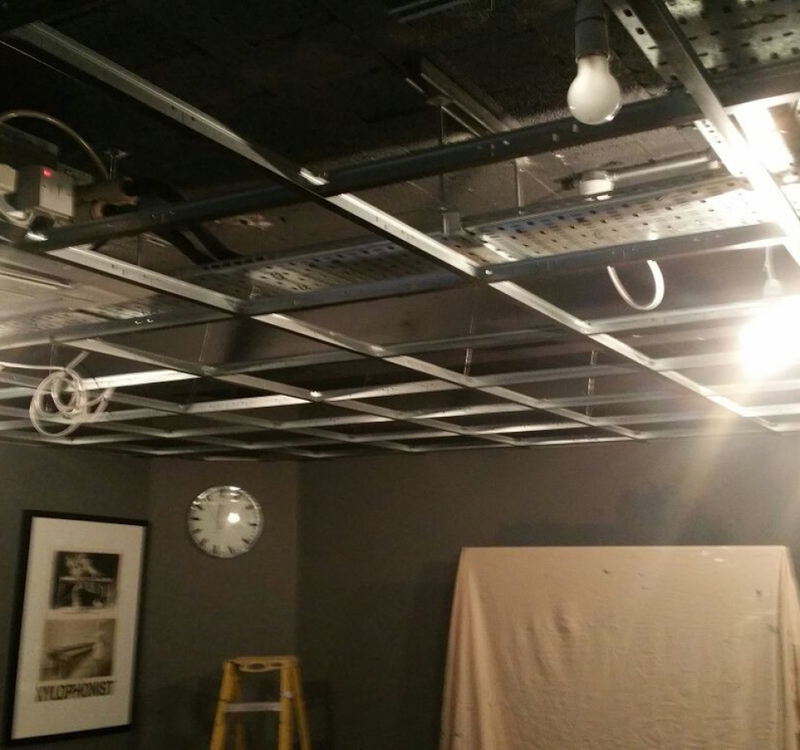 The customer wanted to cover up all the electrical cables that were along most of the ceiling. 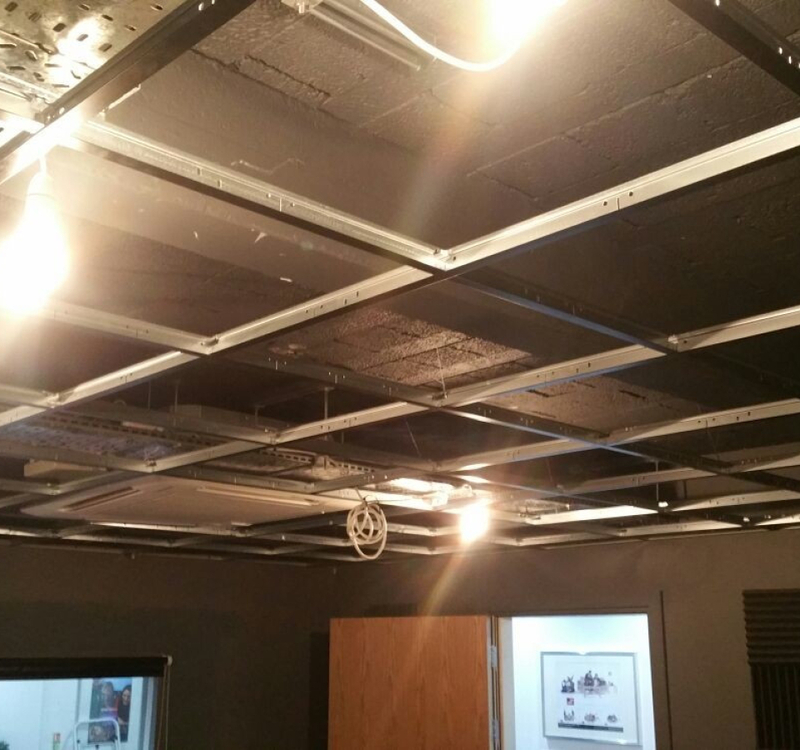 Using dark ceiling tiles due to light restrictions while filming. 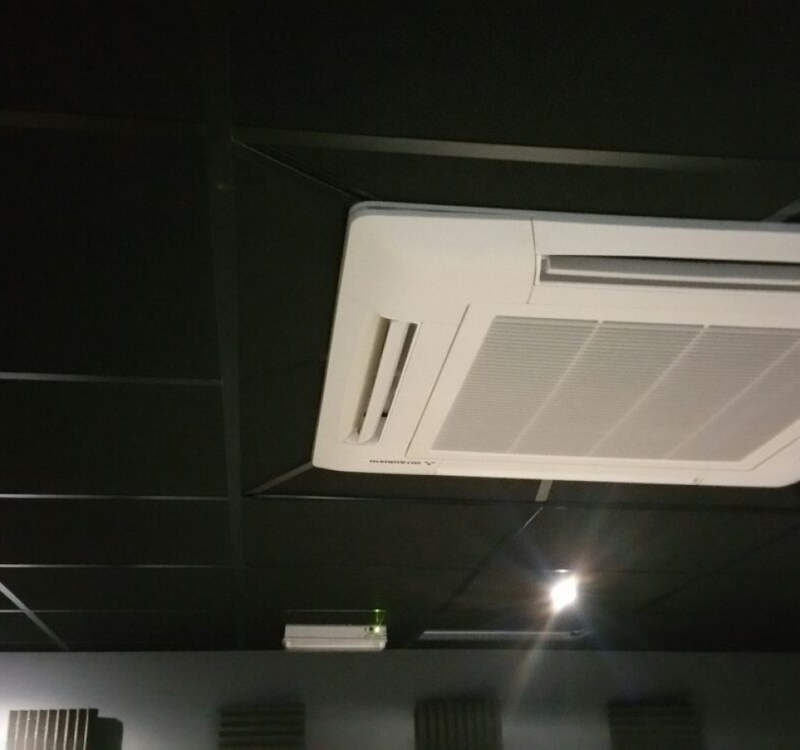 They also wanted a degree of sound absorption, again for recording purposes. 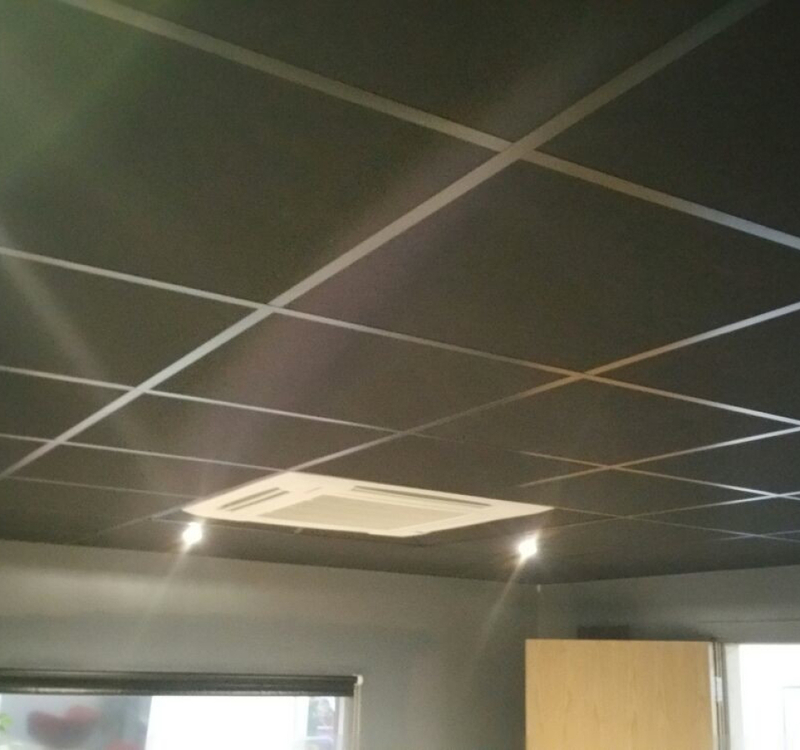 Our fitters installed a chrome suspended ceiling grid and Black Echofon Sombre ceiling tile, even working the way around a large air conditioning unit in the ceiling and installing spotlights. 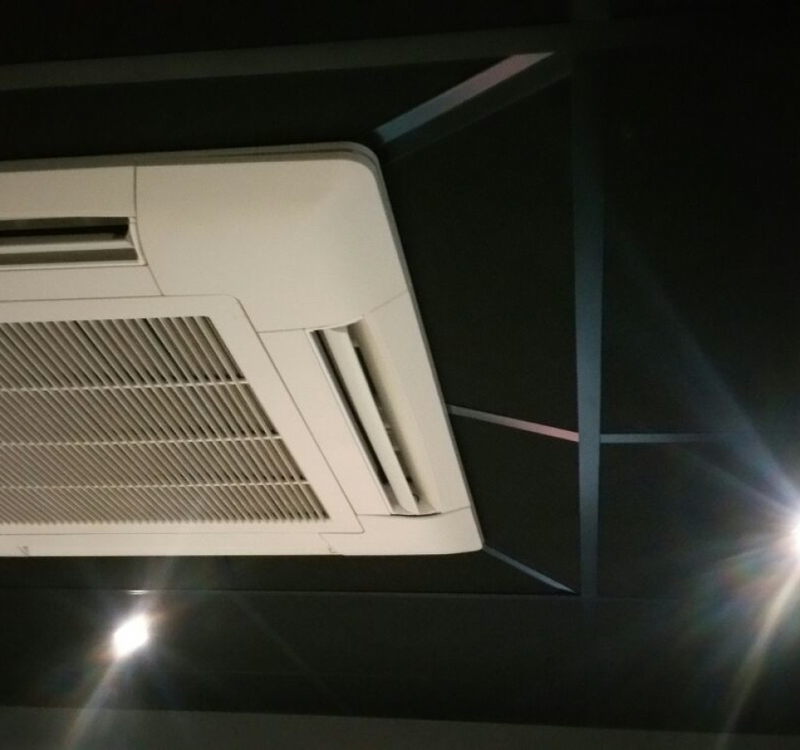 The Studio are very happy with the results.